On the heels of the midterm elections, I was reminded of what divides us. In the subsequent weeks, I was reminded of what brings us together. While the election results painted a picture of a nation divided, we all breathed a healthy, collective sigh of relief knowing the constant barrage of negative campaign ads were subsiding. And as I sit here today, I feel optimistic about our ability to come together. 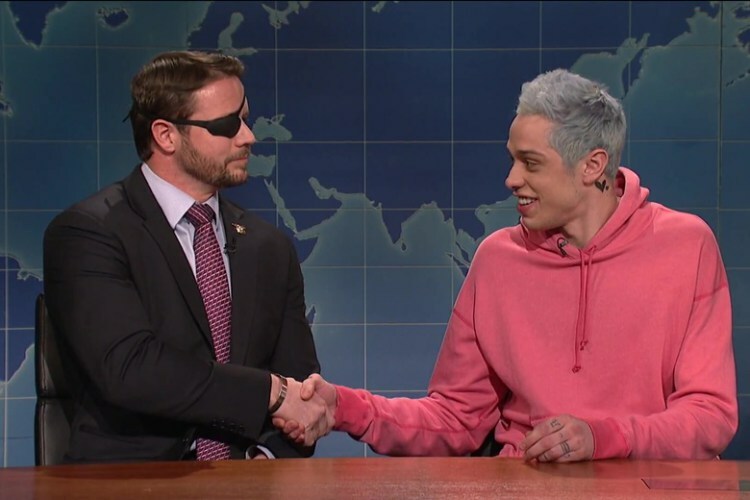 A couple of weeks ago, “Saturday Night Live” comedian Pete Davidson poked fun at the appearance of Dan Crenshaw, a former Navy SEAL and Republican representative-elect in Texas, who happens to wear an eyepatch. The joke—which was roundly criticized online—could have made for another flashpoint in our ever-growing culture wars; click bait for those of us who thrive on controversy between the left and right. But instead, Crenshaw stepped back, and on Veterans Day weekend, he appeared on SNL to return some pot-shots at Davidson and to make a larger point about “never forgetting” those who have served, including Davidson’s dad. In an opinion letter he wrote to the Washington Post, Crenshaw said, “…people too often attack not just an idea, but also the supposed intent behind the idea.” His goal, to help create a more civil society where those of differing opinions can exchange those ideas without demonizing their opponent. Novel concept. From the Baby Grand in Wilmington, Putnam laid out in stark terms the growing divide between those on the right and the wrong side of the tracks—the rich and the poor—and made a compelling case for why we as a community need to think of all kids as our kids. While the data on his various “scissor graphs” painted a picture in which those who are poor (and predominantly black and Hispanic) are facing increasingly high hills to climb to get out of poverty, I left inspired to act more deeply in our local community. So, thanks SNL and DCF for helping me lift my head above the noise.